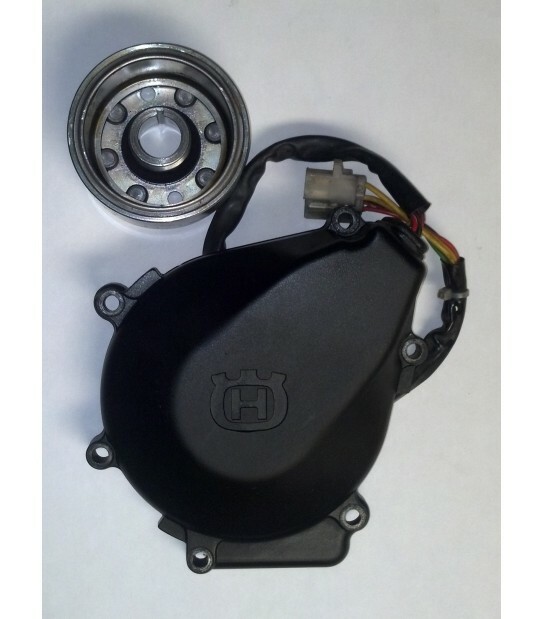 This is a 250 flywheel modified to fit the carbureted 2004-2010 Husqvarna 450 & 510. Loose some rotational mass and improve engine response. The engine spins up faster because there is less weight to get moving. ***For carbureted bikes only, will NOT work with fuel injected models.